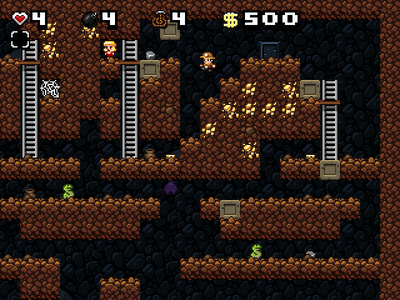 Who hasn't heard of Spelunky? You know, the cave-diving, procedurally generated magnum opus by designer Derek Yu (aka Mossmouth?) Wait... actually, I'm guessing a lot of people, up until the XBOX Live Arcade release on July 4th, 2012. For those who haven't yet donned their khakis, gripped their whips and adjusted their fedoras, this fantastic platforming romp began as a humble freeware title tracing its origins back to late 2008. For a while, I believe it was only available via a thread in the TIGSource forums, then later got its own official home on the web. I, like other videogame enthusiasts - as well as a slew of talented developers - played this gem before it was cool. Since I'm not an annoying hipster, I won't be assaulting your retinas by Instagramming a screenie of old school Spelunky next to a picture of my feet at the beach distorted by some stupid filter making it look old, but I digress. 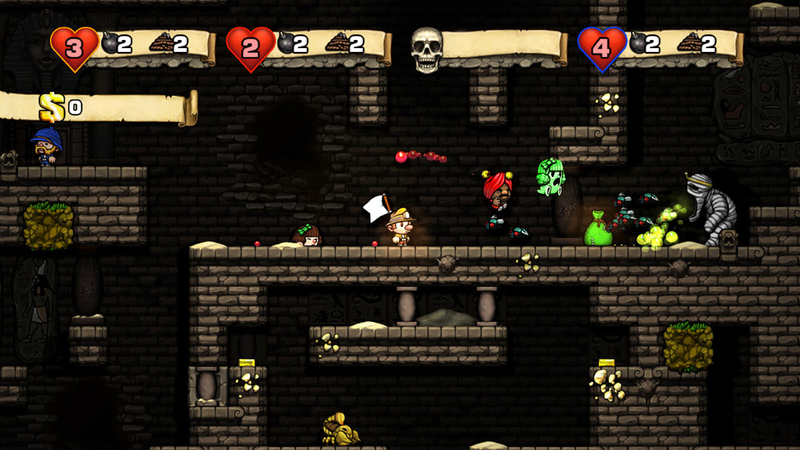 Clearly borne of a pedigree of La-Mulana, Spelunker, roguelikes, and a hearty helping of genius, the original Spelunky was built by Yu in Game Maker (perhaps its greatest creation?) and its charm extends well past its retro sensibilities and beautiful art. The gameplay is pure platforming simplicity. 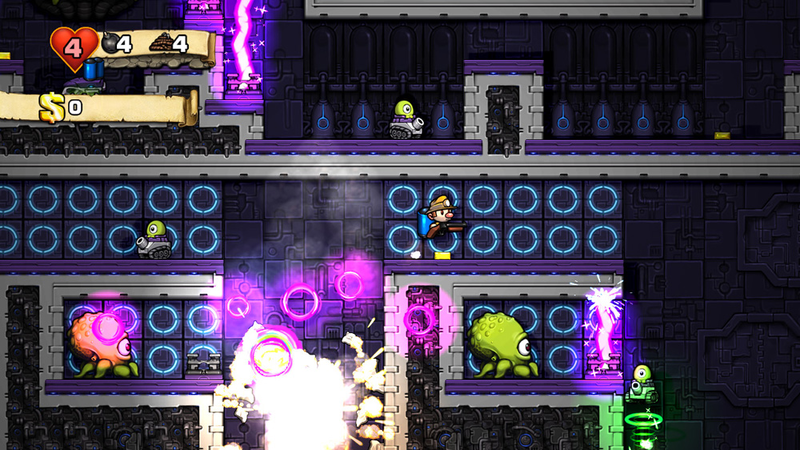 Your hero (known to some as Iowa Jack, not sure where they got that inspiration) has only a few weapons at his disposal: bombs (which explode, of course) a whip (duh) and grappling hooks which allow the player to pull themselves out of pits and other sticky situations. At this point (assuming you haven't played it) you may be wondering what all the fuss is about. 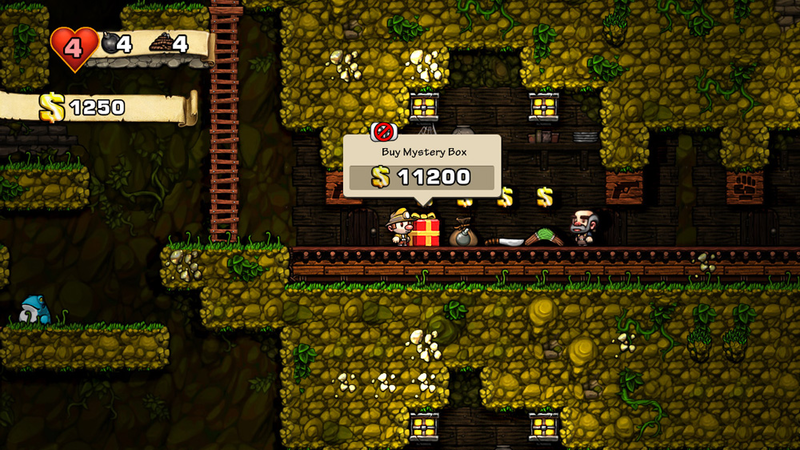 The joy of Spelunky lies in how well, how intricately well, it taps into interesting risk-taking and decision making behaviors. Every step could lead to your certain death; as such, rushing through levels is usually met with a reward of snake-in-the-face or impaled-by-spikes. If the player is met with an uncrossable impasse, what to do? One could use up their last grappling hook, possibly leaving them stranded later, or take the risk of falling into the undefined abyss, possibly killing them via any number of dangerous objects. Sure, you could disarm that arrow trap by throwing a bomb, but will you need it later? 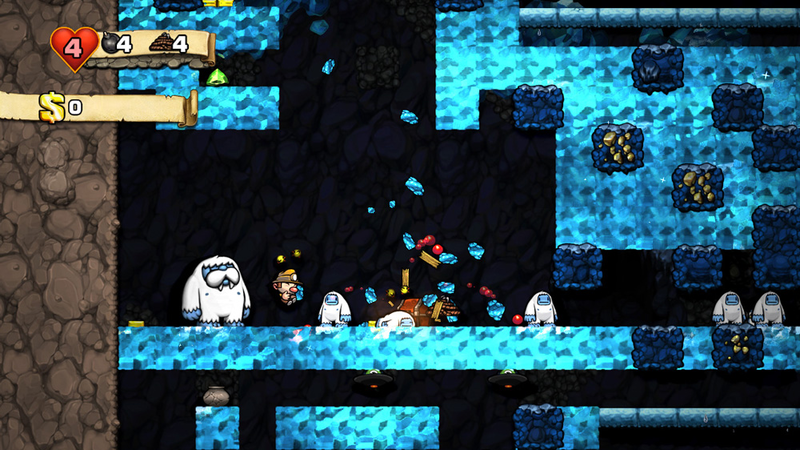 These are the kinds of things players find them thinking about and acting on during every play of Spelunky, making it feel like each playthrough is a unique, deep experience. This simply can't be accomplished with most games, and Yu has mastered it here. This mastery then became a phoenix, a majestic, addictive, gorgeous phoenix, and from the ashes was borne the XBOX based remake, which brings us to the present day. This polished version does away with the old 8-bit inspired sprites, which some may lament, but showcases Yu's penchant for unique, quirky art design, and will win the hearts of many. This artwork will carry you through several various locales to discover, treasures to seek, and monsters to slay (I won't ruin any of them, you need to discover them for yourself!) The remake also adds a sweet soundtrack that I find enjoyable to listen to and reminiscent of Genesis and DOS classics of yore, but if you're not into that sort of thing, the tunes may become old after a while. Since you're here on RGCD, I doubt that's the case, however. 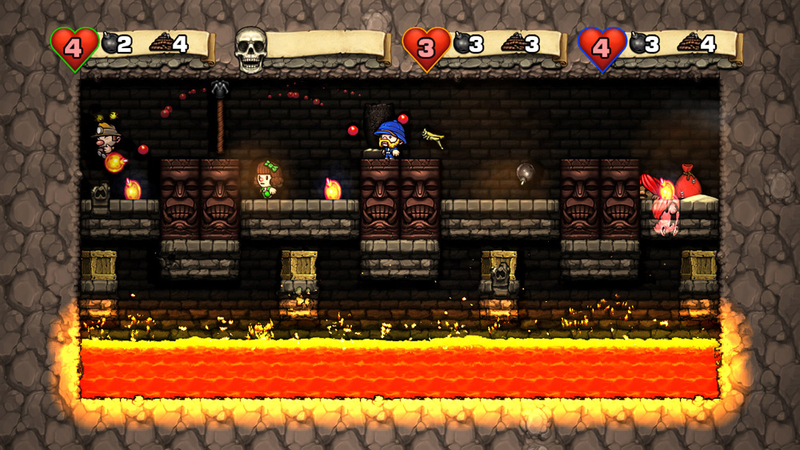 The gameplay of the Spelunky remake carries over from the original, and as I stated before, is pure platforming goodness. Object physics feel tight, though a bit unruly at times - watch out for that bouncing torch. Jumps are precise and it's very difficult to ever claim that a death wasn't your fault due to the controls. It is entirely possible, however, for death to be inevitable given the random and chaotic circumstances of each level - thus the beauty. As a Spelunky player, you will die a lot. Roguelikers are familiar with this, but even those who aren't used to going through more lives than a gross of cats squared will be glad to know that death doesn't really feel like the end, ever. It merely feels like the beginning of the next playthrough, and perhaps you learned something from it. As a little cherry on top - yes, I consider this 'little' - a multiplayer mode is added in which you can pummel your friends in deathmatch. It's cool, but don't play this game for the multiplayer mode, please. 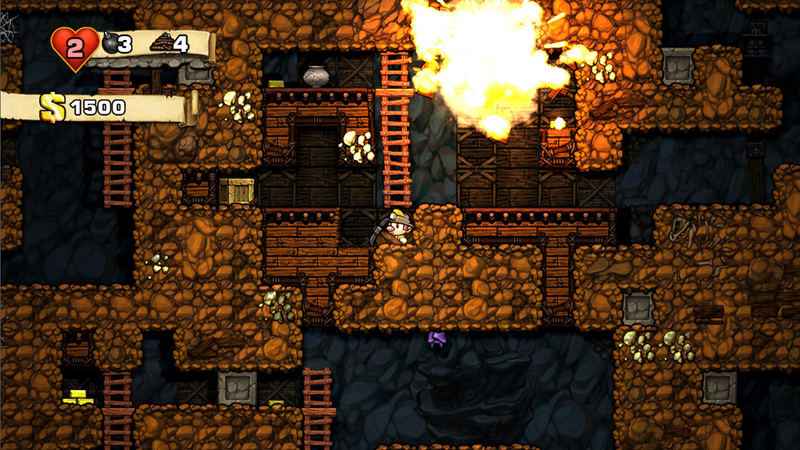 Not only are other people overrated, but the true beauty of the Spelunky experience is in exploring and mastering the random depths on your own, preferably while wearing a pith helmet for authenticity. As the metaphorical sprinkles (sticking with the sundae motif) players are given new monsters to hunt, treasures to find, and even fresh avatars to unlock. All of that being said, Spelunky is not for everyone by any means. If one is looking for a deep, interwoven plot and character development, it isn't to be found here. No, this game is purely an exercise in decision making, accurate platforming, a little bit of luck, infinite replayability, disappearing time, and a bit of self-punishment. Go buy it, it's worth the price of entry. Download the original PC/Mac version of Spelunky here (from the Spelunky World website). Purchase the Spelunky XBLA remake here (from the XBOX Games Marketplace). Utterly agreed, I've been playing this a lot since it first arrived, and was initially a bit apprehensive about the 1200 MS points price point - but felt I'd already had that much fun on the PC (and later Mac) versions, so coughed up. And since the Xbox version came out I've basically played nothing else. Trials HD style restarts of levels have kept me in front of it for RSI inducing periods. Not sure about the soundtrack - I ended up turning it down, and listening to other music as I played as the music was a bit repetitive when played for marathon sessions. Whilst the multiplayer deathmatch is far to chaotic to be fun, the multiplayer adventure mode is a good laugh (in two player at least) - and playing as a ghost (once you've been killed) is a nice addition, with the living player being able to resurrect you from a coffin on the next level. Overall, utterly brilliant, and well worth the investment as an XBOX game. (Although I miss the old graphical style just a bit). Any game where I can get a monkey companion who poos gold is pretty much essential. Personally, this is one of the rare cases where I actually like the new art better. I've always been a fan of Yu's unique style. I think it adds another dimension of personality to the game; it wasn't exactly lacking before, but develops it even more!